Brookings is located on the beautiful and rocky coastline of southern Oregon just north of the California border. 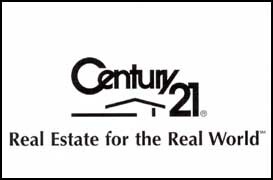 CENTURY 21 Agate Realty has been in business since 1978 with two offices to serve your real estate needs. Our main office is in downtown Brookings, with a branch office in Harbor. We invite you to view our real estate listings on the Century 21 Web Site which will give you brief information and pictures of ocean front, ocean view, river view, and mountain view properties. If the listing sparks some interest, please contact either of our offices, and one of our professional sales associates will provide you with detailed information about that property. We at CENTURY 21 Agate Realty in Brookings-Harbor invite you to browse around to find all the wonderful information we have provided about the southern Oregon coast on our own personal website.